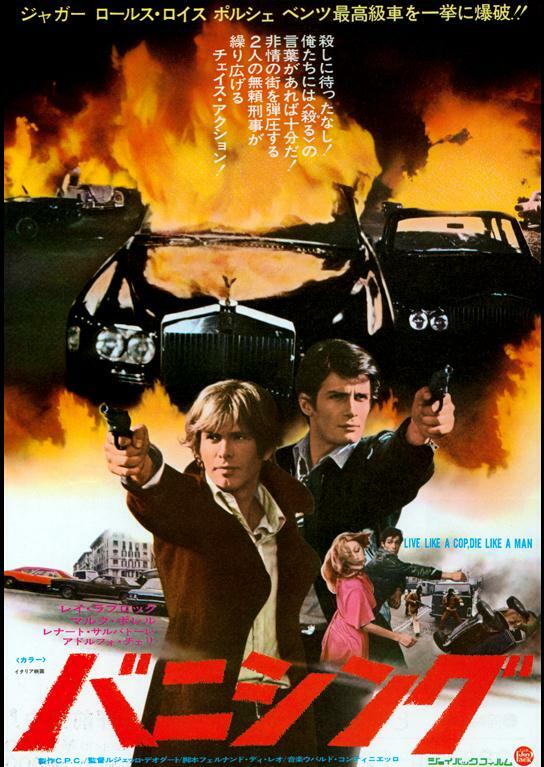 Digi-Schlock: LIVE LIKE A COP, DIE LIKE A MAN (RaroVideo USA DVD) – Schlockmania! RaroVideo USA recently made a many an American Poliziotteschi fan happy by issuing a box set of Fernando Di Leo’s classic films in this genre. 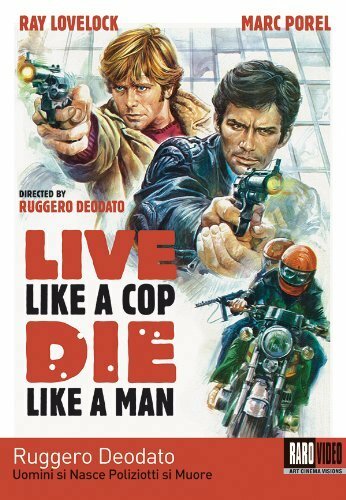 If you’re wondering what they might do for an encore, the answer recently arrived with an impressive disc of Ruggero Deodato’s Live Like A Cop, Die Like A Man. Like the Di Leo set, it’s a skillfully packaged item that presents its main attraction well and doesn’t skimp on the extras. The good stuff begins with a new anamorphic HD transfer of the film: it retains its vintage film look but puts it across with a richness in detail and color (wait until you see how the bright red blood pops on the image). Both English and Italian soundtracks are provided, with crisp English subtitles for the latter. The Italian track is the better choice here but both are easy on the ears. There are also a few choice extras here for the Poliziotteschi connoisseur. The first is a 42-minute documentary on the make of the film entitled Poliziotteschi Violenti and it features interviews with Deodato, star Ray Lovelock and some production personnel. It uses its expansive running time well, with Deodato and Lovelock taking the lead as they discuss the film in great detail. You’ll find out about Deodato’s early directing career, how he shot the infamously wild opening chase sequence, how the two leads got along and some surprisingly personal observations about the Dionisio sisters (Silvia and Sofia) who starred in the film. Al Cliver also pops up briefly to ruefully discuss why he turned down one of the leading roles. It’s a lively, informative piece and it gets bonus points for a charming coda where Lovelock breaks out a guitar to play his theme song for the film. The other major extra is a reel of Deodato’s television commercials, which is accompanied by a voiceover track in Italian with subtitles from the director. He discusses the nature of working on commercials in Italy, how he made his fellow filmmakers envious with his ability to segue back and forth between the commercial and feature film worlds and some incidental stories about the different commercials. Along the way, it shows a fascinating other side of this filmmaker that might not be seen by people who just know for making Cannibal Holocaust. The package is rounded out by a liner notes booklet that includes a brief essay on the film as well as a Deodato filmography. All in all, this is a quality release and a great way for American fans to enjoy a vintage, deserving Poliziotteschi entry. One can only hope that RaroVideo USA will continue to release more films in this underexplored-on-U.S.-video genre. 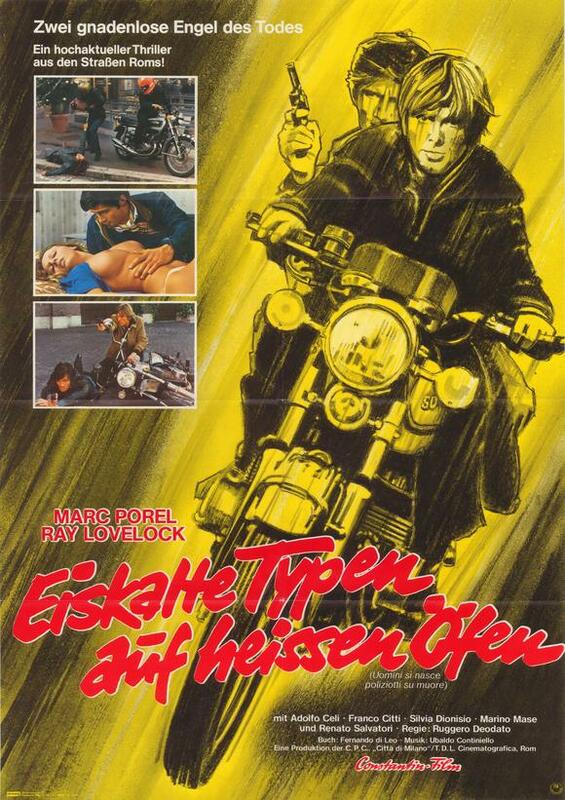 Live Like a cop, Die Like a man directed by Ruggero Deodato from Rarovideousa on Vimeo.